Article link and credits here on www.heraldextra.com. The funny thing about parenting is that people keep getting into it who don’t have any actual experience doing it. Most first-time parents have probably heard of or read of or chit-chatted about parenting, and they probably have certain ideas from being on the receiving end of somebody else’s parenting. You don’t get to actually be in charge of raising children, however, until you start having your own. "You know sometimes you're up late and you're arguing or discussing these problems: Do we take away the toys when they don't clean them up? Do we throw them out? I would have my opinion. [My husband] would have his opinion," said Murray resident Jessica Taylor. That's sort of how Taylor and her husband, Chad, decided to start The Cairn Parenting Project (www.cairnparenting.org) -- they needed a tiebreaker. A voice of authority. Taylor, 32, is a Utah native and mother of two young children, with a third due to arrive in October. She operates a small business in addition to mothering her kids -- "I own a genealogy research firm that I manage during nap times" -- but family is her most important priority. She's read parenting books, but said that she doesn't feel like most books have the specific information she's looking for. Do their children currently believe in and actively practice the parents' religion? Are their children currently married? Did their children complete at least four years of college? For would-be parent consultants of four or fewer children, all of the kids have to meet all three criteria. For parent consultants of five or more children, at least 80 percent of the children have to meet all three criteria. 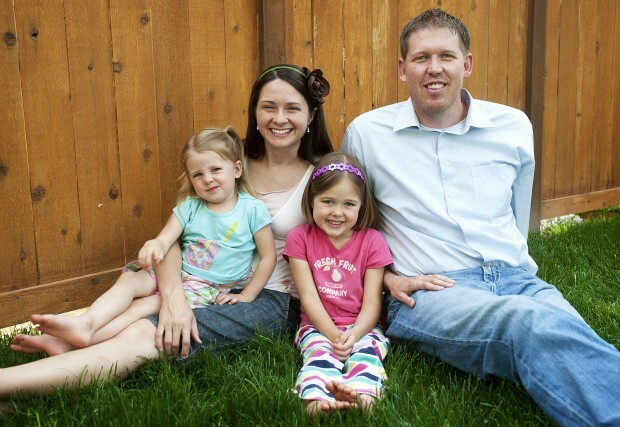 The Taylors are members of The Church of Jesus Christ of Latter-day Saints, and Cairn Parenting, a blog-style website updated weekly, frequently addresses LDS topics. The site, however, is open to participation from parents of any faith. The criteria for contributors to The Cairn Parenting Project are the Taylors' most important goals for their own children. And it also means that they don't subjectively decide, case-by-case, who contributes. Taylor said that she doesn't mean to be rude to anyone whose children don't match up across the board. "That's the hardest thing about this project," she said. "I've tried really hard to make it really clear that we're not trying to say anything about personal success." After all, children eventually make their own choices regardless of what parents may have tried to teach them. That was driven home to Taylor when one of her siblings, a younger sister, committed suicide last year. Watching what her own mother went through, Taylor said, made her want to feel like she was doing everything that she possibly could for her own children. The tragic occurrence also provided more impetus to actually get The Cairn Parenting Project off the ground. "If I could learn to be more effective in any way," she said, "I was very motivated at that time to do that." Taylor recruited parent consultants for Cairn Parenting -- which launched in January and takes its name from small rock piles used by hikers to mark hard-to-follow wilderness hiking trails -- by talking to friends and relatives. "I just basically contacted everyone I knew and asked, 'Do you know somebody whose kids fit these criteria?' "
Myrna Thomas, who lives in South Jordan, said that her name was passed along to Taylor by her son and his wife. She said that people have informally asked her from time to time how her own children turned out so well. "I don't know how much that has to do with me," Thomas said. "I think it has more to do with my husband and the luck of the draw." Not that she dismisses her knowledge of parenting as readily as some others. A couple of years ago, Thomas said, she applied to enter a master's degree program in marriage and family therapy. Her application was turned down because, as she put it, "They said I didn't have enough experience. I remember thinking, 'Are you kidding me?' "
Parenting questions go out to the parent consultants each week, and whatever answers come in by the end of the week are posted to the site. The advice is posted without direct attribution: each of the contributors has an alias so that he or she won't feel self-conscious about the answers. Thomas, 61, said that she often looks at the question each week and has no idea what to say, at first. Then she thinks back to raising her own four children (there are 16 grandchildren), as well as several American Indian foster children, and sorts through her memories for something that applies. Another parent consultant, Marva Pothier, who lives in Mesa, Ariz., said that she typically takes the entire week to send her answer, so that she has time to let things settle in her mind. Pothier, 67, said that she thinks one reason Cairn Parenting is an important resource is that parents today don't get much support from the culture that surrounds them. "I think society used to support us in raising our children," said Pothier, who has nine children and 35 grandchildren. Today, she said, society undermines parents in everything from entertainment and fashion standards to prevailing attitudes about marriage. Pothier said that one thing she's noticed is that most of the replies to a given topic tend to be along similar lines. Thomas agreed, and said that she loves to read the other responses, even though they don't always contribute to her self-esteem. "They often depress me," she said. "I think, 'Oh, you were such a much better parent than I was.' "
Sarah Fackrell, a Murray resident and married mother of two who follows The Cairn Parenting Project, said that the posts are often encouraging because she feels like she's on the right track. "Their perspective is looking back from where I want to be in the future," Fackrell said. "It's like talking to myself in the future." Maybe more than she knows. Fackrell, 35, said she's often frustrated by feeling like everything she does as a parent is a process of trial-and-error. "All my friends who have kids are the same age as me," she said. "We're all just kind of trying stuff to see what works." Which is actually not such a bad method, at least according to Thomas. "You just do the best that you can," she said. "This is a guessing game in many ways." Taylor said she doesn't have an end-date in mind for The Cairn Parenting Project. It's working for her so far. "I don't know if you're ever sufficiently educated on parenting," she said. "I think there's a never-ending amount of things you could learn."